U.S. Bank sign frames for Metro-model (see USB3500) rope posts in both 7" x 11" and 9" x 12" sizes. 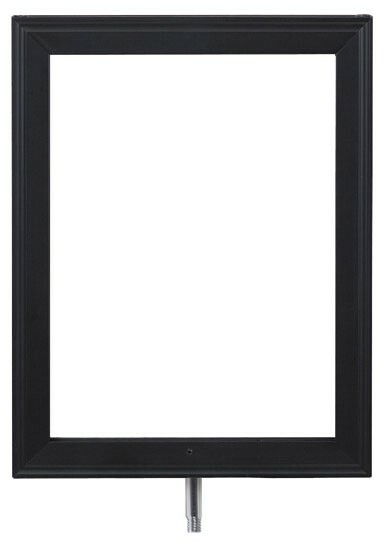 The extruded, black-finish aluminum frames feature a lift-off top for easy changes (use phillips-head screwdriver). Accomodates signs up to 1/4" thick. U.S. Bank sign frames for Metro-model (see USB3500) rope posts. Choice of 7" x 11" or 9" x 12" sizes. Black only.